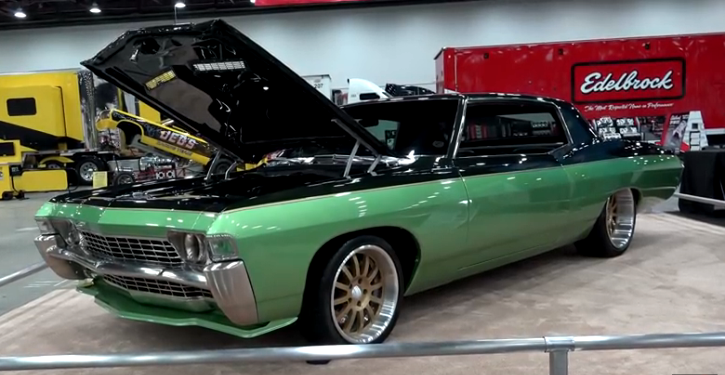 This Custom Built 1968 Chevy Caprice Is a Masterpiece! While we’re looking at Camaro and Chevelle builds all the time how often do you see a Chevrolet Caprice hot rod? The fact that this is a rare classic Chevy to see at car shows and the great attention to detail makes this ride very special. In my opinion the guys at Weaver Customs really nailed with this build, which they debuted at 2018 Detroit Autorama. The 1968 Chevy Caprice a.k.a Acacia is an all steel car, with very interesting body mods but well retained classic appearance and nice pro touring feel. It has a flawless two tone Green pain, perfect wheels fitment and sits on Ridetech suspension. 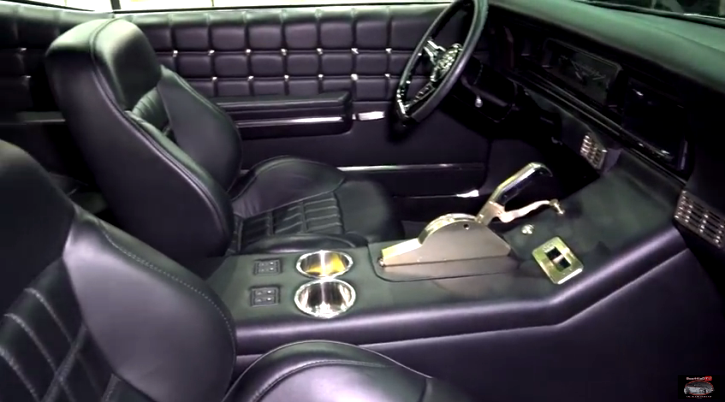 The work done inside the Weaver Customs 1968 Chevrolet Caprice is a real art. From two bench seat interior these guys have switched to 4 buckets with beautiful center console, vintage style upholstery and much more. Under the hood the uniqueness continues with a 600hp Supercharger 6.2 Liter LS motor with very interesting hand fabricated covers. Check out my man Scottie’s video to learn more on this hot rod. Watch, Enjoy & Share!